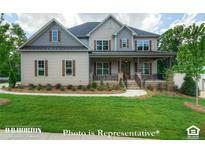 Find Mount Holly, NC New Homes for sale. View Photos, Maps and MLS Data Now! 3,000 towards closing costs with use of preferred lender. MLS#3490928. HighScapes Properties, LLC. Maintenance free Exterior features upgraded vinyl handrails, Oversized Concrete driveway, & fresh landscaping. MLS#3482175. Wilcox Real Estate Group. Walk in closets in all bedrooms. Loft upstairs. MLS#3483466. DR Horton Inc. Kitchen with Island and granite and subway Back splash.. MLS#3483471. DR Horton Inc.
Gas water heater, gas fireplace, gas forced heat. 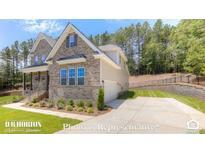 MLS#3483472. DR Horton Inc.
A convenient location without the sacrifice of lake serenity! MLS#3480439. DR Horton Inc.
first floor ceiling offers 9ft ceilings. MLS#3473682. DR Horton Inc.
Rhynes Estate - Under construction now Open floor plan 3 bedrooms 2 bath home includes 2-car garage with extra storage Luxurious Master bath Great kitchen is open to Family and Dinning room area, Covered Front & Rear Porch, Office or Craft Room off Kitchen, Large Mudroom/Laundry Room Brick front side load garage built on Crawl Space Convenient to Mount Holly MLS#3472505. Century 21 Murphy & Rudolph. Plenty of time to customize your house and make color selections! MLS#3470568. HighScapes Properties, LLC. Plenty of time to customize your house and make color selections! MLS#3470559. HighScapes Properties, LLC.